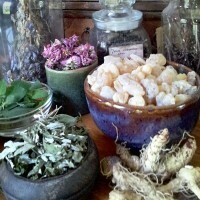 Herbs, woods, resins, and essential oils for use in witchcraft. Hand-blended bound incenses used with charcoals in ritual and magic. 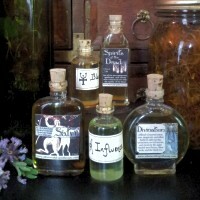 Hand-blended all natural oils for witchcraft, hoodoo, and ritual. 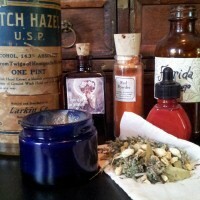 Teas, unguents, inks, powders, and other fruit of the apothecary's art. Stones, bones, minerals, candles, and other assorted items. Charming, cunning, and conjure. Also, bulk and special order creations. 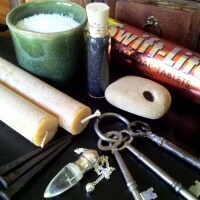 We are traditional witches and cunningmen who create and sell the magical tools we use in our own work. Through craft and insistence on quality, we have been dedicated to providing magical and ritual supplies to the witchcraft community for over a decade. 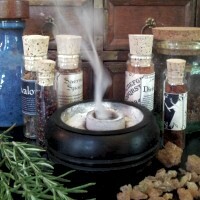 We create high quality incense, oils, potions and powders for use in spell craft and ritual from natural ingredients and traditional recipes. We also carry a line of uncommon botanicals and the materia magica necessary for witches, rootworkers, and magicians to practice their art. 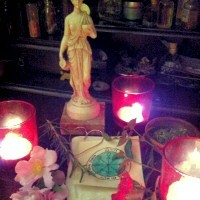 We also provide magical consultations and services for clients.